The producers of Gotham plan to give fans the payoff they have been waiting for: the full reveal of Batman himself. 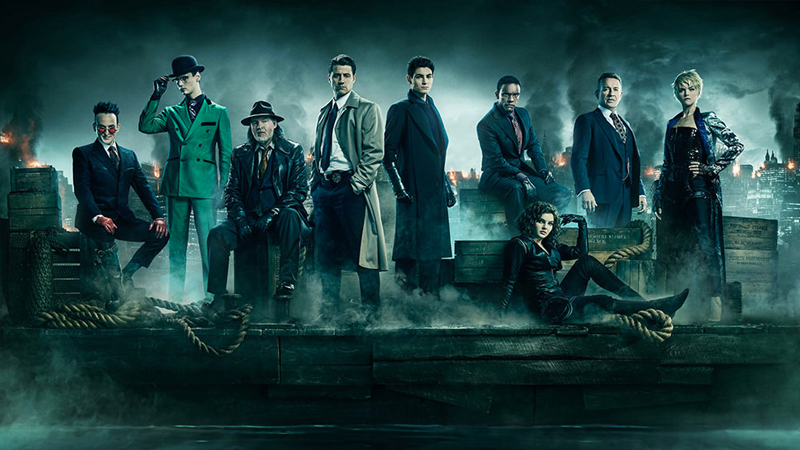 During the TCA press tour, showrunner John Stephens confirmed that Batman will be featured in Gotham‘s finale. Stephens also indicated that Batman will play a large role throughout the entire episode. Stephens went on to note that the bulk of the finale takes place ten years after the series. This version of Batman will be portrayed by someone who can display the physicality of the Dark Knight. However David Mazouz’s face and voice will be used for close ups. Cameron Monaghan, who plays proto-Joker Jeremiah Valeska, also shared a few comments about the finale. Are you excited to hear that the Gotham finale isn’t going to pull a Smallville with its final reveal of Batman? What do you want to see in the final episode? Let us know in the comment section below!